This chapter presents a local emergent perspective on smart city governance. Smart city governance is about using new technologies to develop innovative governance arrangements. Cities all around the world are struggling to find smart solutions to wicked problems and they hope to learn from successful techno-governance practices in other cities. Learning about successes of smart city governance is important but lessons need to be contextualized: approaches that work in one city may fail in another one. 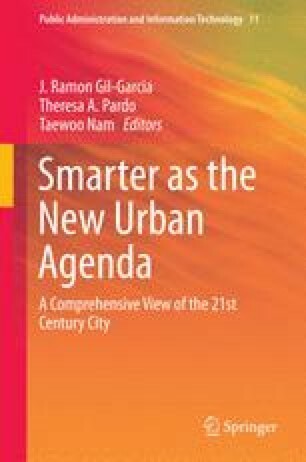 This chapter presents the local cooperative knowledge potential and the nature of the problem domain as key contextual factors and develops a model for studying and assessing smart city governance in context.